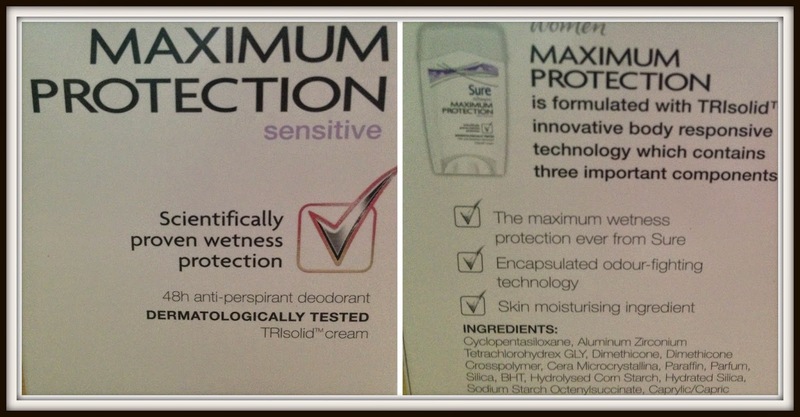 Normally I use spray deodorants as they’re simple to use and can be quickly sprayed when in a rush. 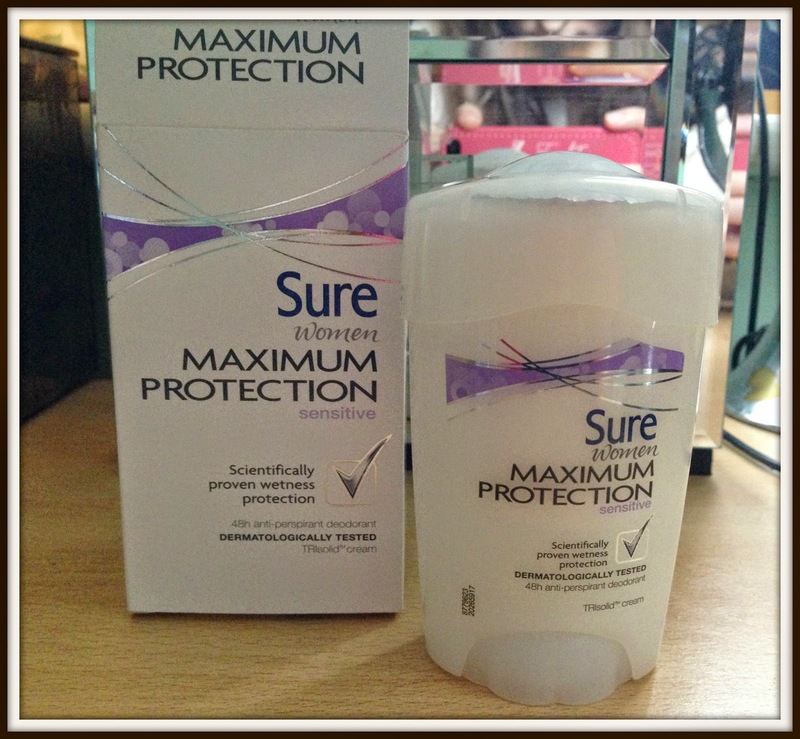 The Sure Maximum protection anti-antiperspirant deodorant is innovative as it is unlike any deodorant you may have seen before. Unlike deodorants that reduce bacteria and add fragrance to masks smell, the antiperspirant deodorant helps to eliminate sweat in addition to preventing odour. The product is kept fresh with a silver seal to avoid any contamination and to avoid any bacteria getting in. To get to the product you need to twist the bottom which pushes the powder towards the top. It wasn’t the easiest product to maneuver and I found that only a small amount of the cream reached the top which reduced the amount that could be applied. On first impressions I felt the product itself looked quite unusual as I have never seen cream used as a deodorant before. It has a very strong smell which I have to admit is quite off putting initially, however it’s not as strong once the cream is applied. With a enclosed leaflet that gives guidance on the product and answers any questions I felt it was a excellent way of introducing people to the product and giving insight into how it works. The product advises to apply the night before for the most optimal results as it is designed to work over a 48 hour period. The cream was pleasant to use and didn’t irritate my armpit area even after shaving. The next day my armpits still smelt fresh and despite doing some heavy duty shopping that afternoon my armpits remained dry. The products scent certainly faded over the course of time but I didn’t detect any bad body odour which suggest the product was still doing its job. Overall, a innovative antiperspirant deodorant that works over a long period of time, helping to keep your armpits dry and odour free. The product is quite different to a typical deodorant and some people may find the unique design a little off putting and tricky to use. "My blinging shopping haul New Look, H&M, Miss Selfridge, Accessorize"
"Sure Compressed Cotton Ultra Dry Antiperspirant review"